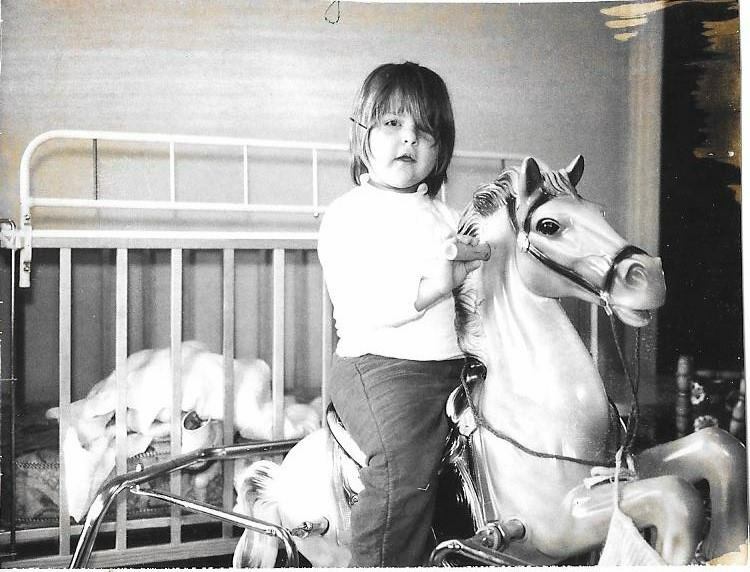 Aunt Mary riding her rocking horse at the age of 2. 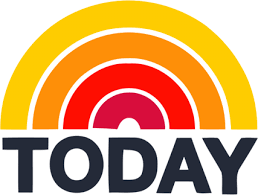 Mary Judith Janak was born on April 19, 1962, in Johnstown, Pennsylvania. She was the daughter of Martha Rybar Rees Janak, an elementary school teacher, and Stephen Benton Elkins Janak, a mill worker. She had two older half-sisters, Ann and Judy Rees, who were fraternal twins. 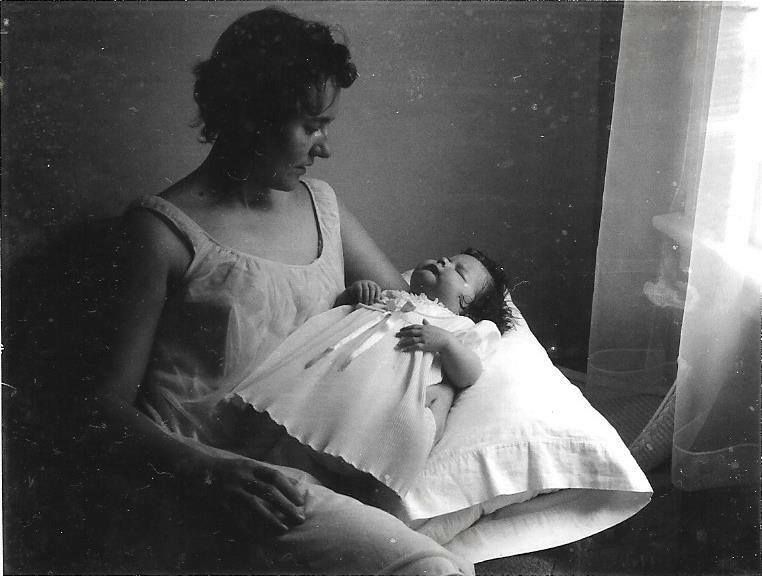 Aunt Mary and my grandmother shortly after her birth in 1962. On October 25, 1987, Aunt Mary was found dead in the bedroom of a group home where she lived in Portage, Pennsylvania. She died from complications associated with Type I diabetes, a disease she struggled with since she was diagnosed at the age of two. Her life was not easy. He responded, A 56 IQ is an imbecile and they are incapable of doing any of that. She may have a low sugar day, but she is not a 56 IQ. Aunt Mary went on to live a life of trials and adversity. I was only five years old when she died and have very few personal memories of her. I remember my mother and father driving us from Florida to Pennsylvania one summer to visit my grandparents and Aunt Mary. I vaguely recall Aunt Mary excitedly approaching me and my younger sister on the steps of my grandparents’ house and hugging us when we arrived. I remember Aunt Mary was missing knuckles on some of her fingers, a condition that often accompanies those like her who had pseudopseudohypoparathyroidism, a rare genetic malady where the affected individual has skeletal abnormalities. I remember Aunt Mary routinely pricking her finger with a needle and then wiping the blood on a small strip of paper that she stuck into a little machine. The news of Aunt Mary’s death is another “standout” memory from my childhood. My family was living in the small town of Palm Coast on Florida’s east coast, and I remember my mother standing in the kitchen nook talking on the phone with whomever broke the horrible news. The look on her face was a mix of despair and shock, as Aunt Mary’s passing was truly unexpected. Yes, she had diabetes, but nobody expected her to die. Not at that age. Those are all the things my young mind remembers about Aunt Mary. It wasn’t until later in my life that I learned Aunt Mary was “slow” and had mental handicaps. 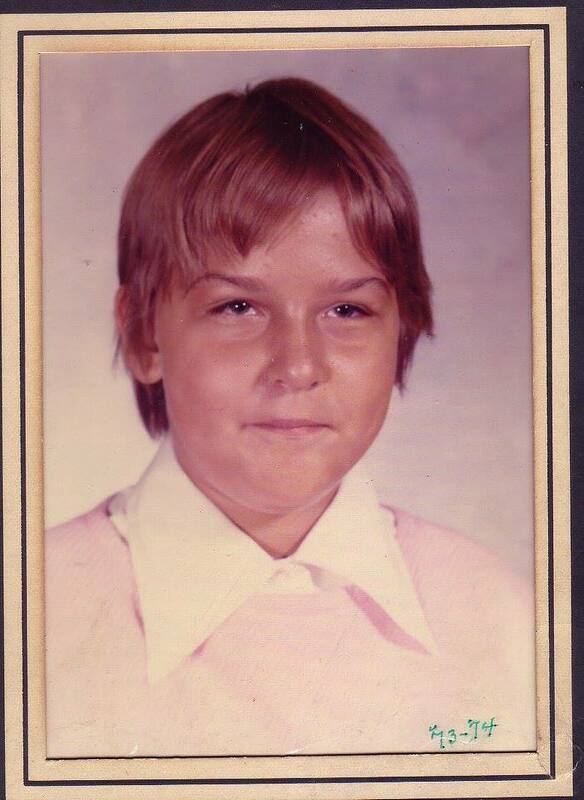 Aunt Mary in grade school for the 1973-74 year. 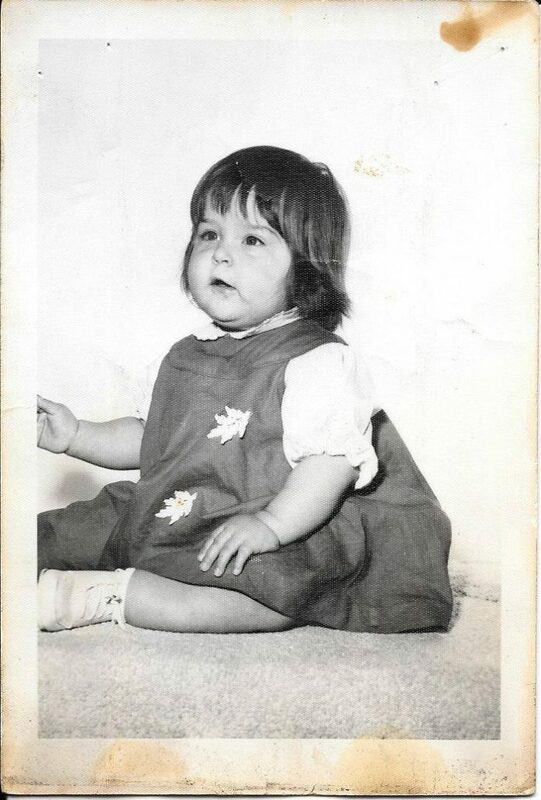 To my five year-old self, she was no different than anybody else. Though she only lived to be twenty-five, Aunt Mary’s life was extraordinary. It’s fair to say that every single person who ever encountered Aunt Mary has their own favorite story about her. She had attributes that so many of us lack. She saw her self worth and defended it. My grandmother thought it was important for Aunt Mary to live as independently as possible despite her disabilities. When Aunt Mary was in her early twenties, my grandmother moved her into a group home for the handicapped in Mylo Park, a suburb of Ebensburg in southwest Pennsylvania. That way, the staff member reasoned, if Aunt Mary ventured into town and found herself in a conundrum, whoever she approached would know she had a handicap and could try to help her. Aunt Mary had self respect, spoke up for herself, and put the staff member right in her place. Aunt Mary didn’t end up wearing that stupid medal. 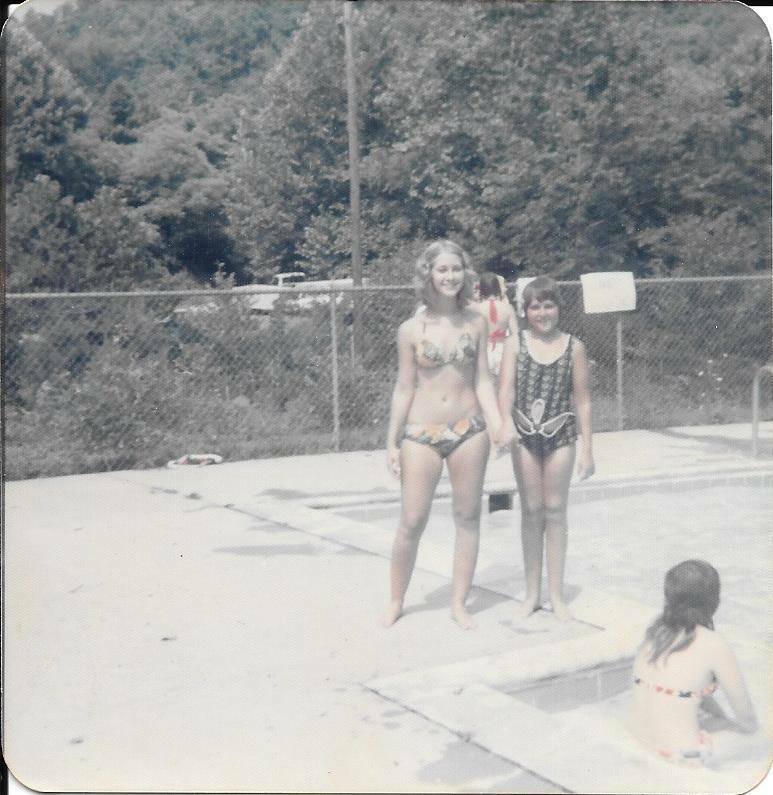 Aunt Mary (right) at a local pool with a friend. She met obstacles with wit and creativity. Aunt Mary was routinely mocked about her physical appearance. Hurt and frustrated, Aunt Mary asked my grandmother if there was something she could to do help. My grandmother told Aunt Mary she couldn’t stop the names and she would need to ignore it until Billy moved along and bullied someone else. Several days later, the phone rang at my grandparents’ house. This is Scott’s mother. I’m calling because Mary started a rumor at school that she’s pregnant and Scott is the father. You need to tell her to stop spreading lies. My grandmother internally screamed “YES!” and mentally gave Aunt Mary a high-five. Well, my grandmother said, If you tell Scott to stop calling Mary a moonwalker, than I’ll ask her to stop telling people she’s pregnant with his child. From that point forward, Scott left Aunt Mary alone. Instead of feeling sorry for herself and waiting for the storm of Scott’s browbeating to pass, Aunt Mary took matters into her own hands. She knew what she wanted and went after it. Aunt Mary was a huge Pittsburgh Steelers fan. Perfect timing, because she was alive when they won four Super Bowls championships. Don’t get me wrong, Aunt Mary was absolutely not a bandwagon or fair-weather fan. Win or lose, she would have proudly waved her Terrible Towel, an iconic symbol of their fan base. Her bedroom was adorned with Steeler paraphernalia. Aunt Mary had a particular crush on Jack Ham, a well-known linebacker who played for the Steelers between 1971 and 1982. Like Aunt Mary, Ham was born and raised in Johnstown and went to the same Catholic high school as my mother and her twin sister, although they were seven years younger than him. He was a big deal and a celebrity. Such a big deal that he was subsequently inducted into the Pro Football Hall of Fame in 1988. One evening my grandmother’s phone rang. A young man’s voice was on the other end. No, she’s not, may I take a message? Yes, this is Jack Ham. Do you know when she’ll be home? Oh my goodness, Jack, it’s so nice of you to call. Mary is a huge fan of yours. She’s not here right now because she’s over at a dance being held by The Association for Retarded Citizens. Do you want to leave a message and I’ll have her call you back? Mr. Ham didn’t want to leave a message and he never called back. Who knows why he was calling. To this day, nobody knows whether Aunt Mary somehow tracked down his number, called him, and he was returning the call or if she was sending him letters for which he was responding with a call. All we do know is that she was fearless and unintimidated. How many of us would have the guts to contact our celebrity crush? Our world is consumed with labels. Autistic. Depressed. Little Person. Rich and Poor. Anxious. ADD. Schizophrenic. Tomboy. Bimbo. Immigrant. Fat. Republican or Democrat. Druggie. Bookworm. Nerd. Dyslexic. Emotional. Socialist. Adulterer. Disabled. Alcoholic. Obsessive-Compulsive. Aunt Mary didn’t allow her label to limit her. She didn’t care what other people thought about her and lived her life by her own terms. She generally did what she wanted, when she wanted to do it. There is a special freedom that comes with not responding to what other people think. With not being consumed by what the world has labeled us. Like Aunt Mary, the freedom comes with seeing and defending your own self-worth. 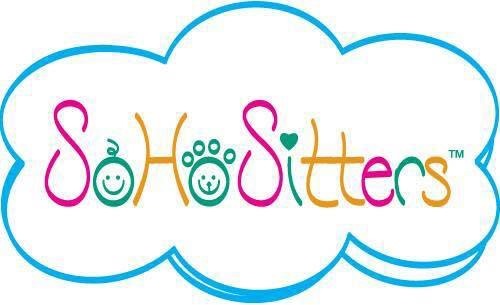 It comes with meeting obstacles with humor and creativity. That comes with knowing what you want and going after it. Like most handicapped individuals, Aunt Mary had a great personality. She was a happy person who shared easily and was friendly and kind. She had a moral code, lived by it, and expected that it be reciprocated. Mean people confused her perception that life was beautiful. Her funeral viewing lasted two full days. My grandmother was amazed at the many young and old people who came to say goodbye to Aunt Mary, many in tears. One in particular stands out. Linda, the University of Pittsburgh basketball star player who came to view Aunt Mary who said: My best friend died. Aunt Mary had the freedom that so many of us lack and her life was cut short so we could appreciate her and learn from her. She saw that being ordinary was so much worse than any other label. Cheers to you, Aunt Mary. 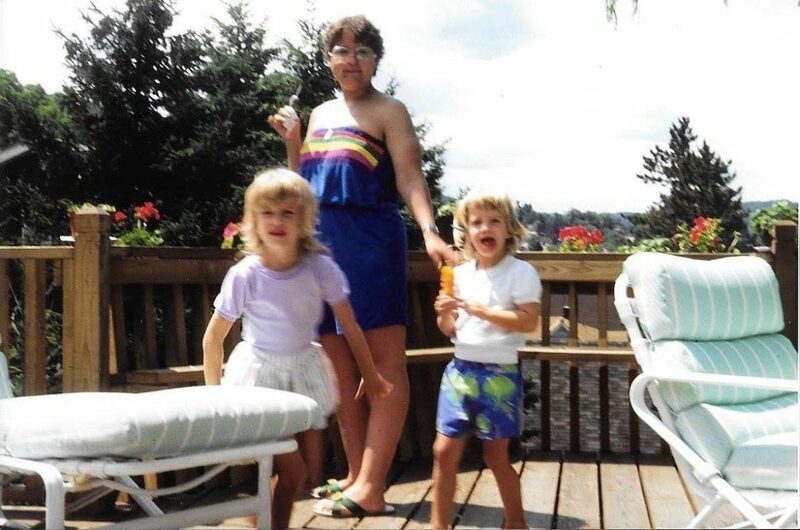 Me (left) and my sister with Aunt Mary the summer before she died. I don’t know why but I love this photo more than any other. 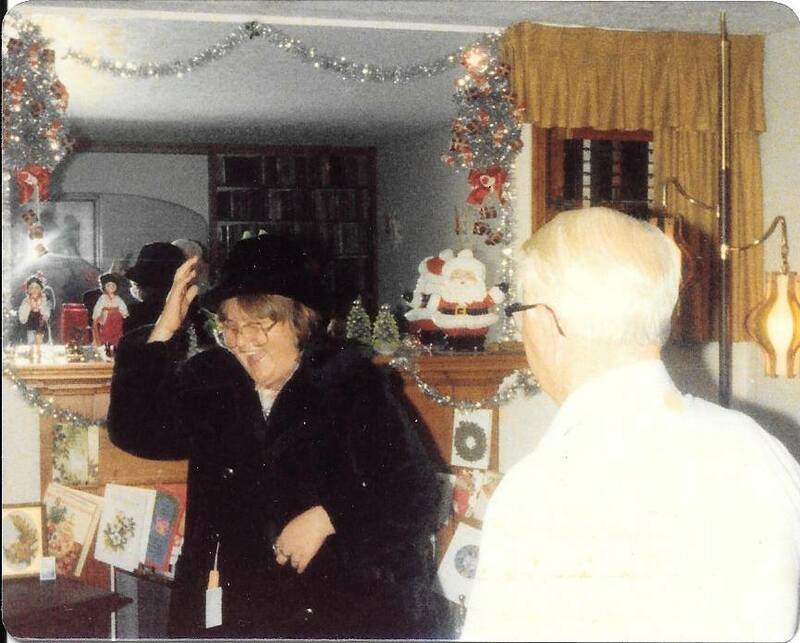 My Aunt Mary laughing with her grandfather (my great-grandfather) Stephen Rybar in the late 1970s. 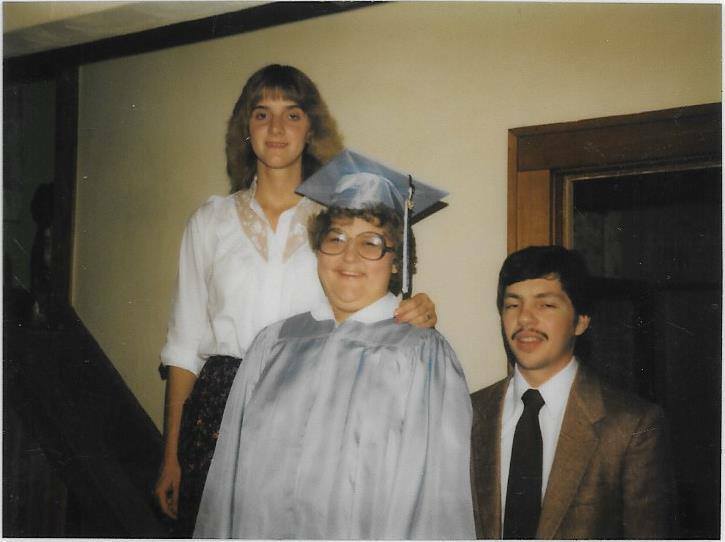 Aunt Mary at her high school graduation. Aunt Mary loved to swim. 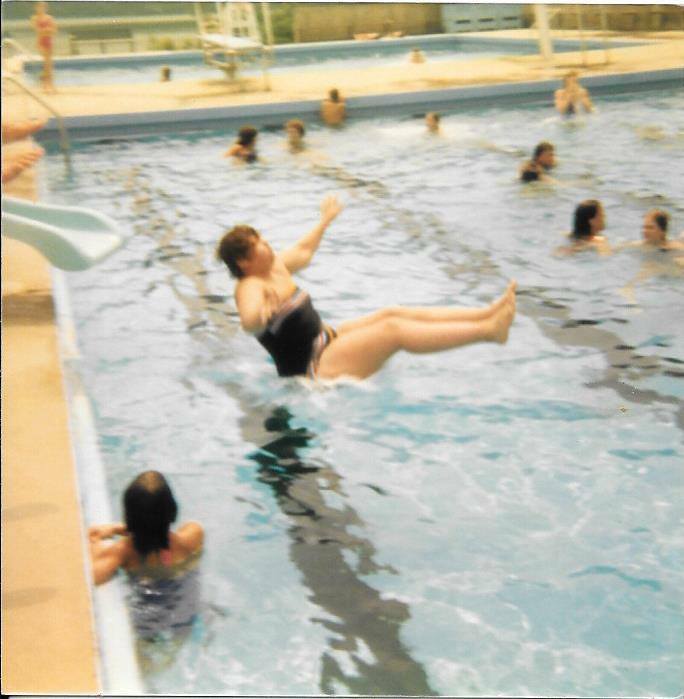 Here she is sliding into the water at BethCo Pines, a pool for high-ranking mill workers and their families, in the 1970s. I love your Aunt Mary. We should all live a little more like her. Thanks, Tove. The world would be a lot better with more Aunt Marys. Love this post!! I would have loved to meet Aunt Mary. I’m sure you two would have played some fierce rounds of Would You Rather? What a sweet story. It made me laugh out loud and then reflect within. Thank you! You did Aunt Mary proud! Having Mary as my sister taught me valuable lessons in compassion and patience. Cheers to another great post! One of your best yet!!! I love the picture of her in the pool. She sounds like a spectacular person who knew how to live life abundantly. Thanks for sharing her story! Thank you for the insightful way you presented my sister Mary. She was quite the character; how I wish that my two (2) children had been able to meet her. My hope is that this will result in everyone realizing that people who are different as just that-different. Not scary, not someone to be avoided or made invisible, but a unique person with something special to offer. Perhaps Mary’s legacy will now be that whenever we see someone different we smile and say hi,and allow their light to shine through. Amen to that! Thanks for taking the time to send me all of the pictures.